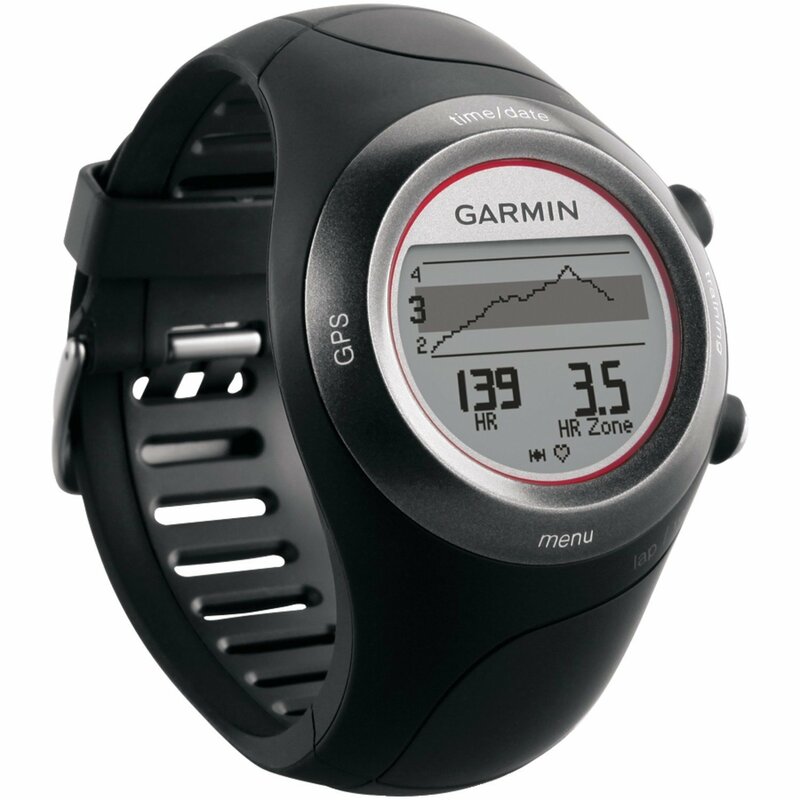 The Garmin 410 is an advanced heart rate monitor which is fully GPS enabled, delivering accurate records and analysis which include workout time, distance covered, average pace and elevation. This forerunner has been designed with the outdoor trainer in mind, which is typified by its advanced touch bezel. Designed with simplicity of use in mind, in all weather conditions, the touch feature allows you to easily navigate features during your workout. So far, we have looked at the more basic features of the 410, but you don’t outlay £150 on a GPS watch for the sake of measuring your pace and workout time – watches at half the price of this forerunner can do that for you. Where the forerunner 410 steps things up a level is with its three training pages and 30 data points which are fully customisable. You choose how your data is presented so that the device is always delivering the data you need and isn’t wasting space with data which adds little value TO YOU. I really like how you can select if the data is shown in one big field, or two or three smaller ones. The Garmin virtual trainer has long been a popular offering, and rightfully so. Advanced athletes and keen trainers buy these devices and often the aim into aid them with race training. 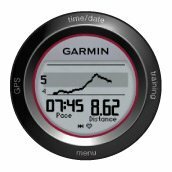 The Garmin virtual partner acts like a training buddy, allowing you to have a pace setter for your runs. Within virtual partner you are able to set up detailed workout plans, with goal targets for your workouts. Virtual partner will then provide a digital analysis of your goal running pace verses what your achieving in reality. Ideally like the use of elevation data in the workout analysis afterwards, as elevation naturally has a big affect on workout pace. Therefore, I can plug inky goal 10K pace, which for me is 35 minutes, and I can then measure my performance taking into account the hills in my local area. This makes workouts truly cross comparable. Keen data gathers can add in custom layers of data around the weather for examples, which is the data geek in me. For examples, I like to keep track of how I perform on set roots, on different days of the week and in different weather conditions. I know I perform best on a weekend day having had a solid eight hours sleep, and when the conditions are temperate without precipitation. It’s nice to hold this data in one place. Garmin also enable you to record set routes, and this naturally becomes a great extension to all of the above. As a final point on virtual partner – I really like the competition aspect. In much the same way that many people ‘race’ their sat nab devices in an attempt to beat its expected time of arrival,many do the same with virtual partner. It is surprising how satisfying it an be to beat a computerised workout partner, but as nerdy as that may sound, it encourages hard training and,omg term progress so I am definitely in! The Forerunner 410 comes with Garmin’s premium softstrap heart rate monitor to track which collects your heart rate data and delivers it to the 410 or other devices, such as treadmills and exercise bikes. Again, personalisation and customisation are the themes here as you can select between five different heart rate zones. These are naturally anchored around your age, with maximum heart rate being (superficially calculated) at 220-your age. You can then set your preferred training zones. I am an intensity trainer, so I set my zones from 1-70-180 down to 140. My goals are fitness improvement and body composition, and these zones work for me. They may not be your goals though and that’s where the ability to really make the device your own is invaluable in my opinion. The HR monitoring is set against your route, allowing you to measure your body’s performance against historical data collected for the same run. The forerunner 410 also acts as a calorie calculator, so you can measure your calorie expenditure with some degree of accuracy. These features are never set in stone as there are too many variables left unanswered. You can however measure trends whilst keeping the data inputs consistent. If your an explorer at heart, or just a terrible navigator, you’ll appreciate the forerunners ability to guide you on your run. 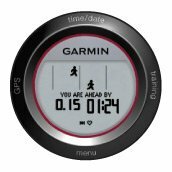 The device uses GPS technology to map your route and this means you can always be sure that you’ll get home. I used this whilst in New York on a work trip recently, and it was invaluable. There’s nothing like running to explore a new city, and its great to have that complete assurance that you’ll get back safely.